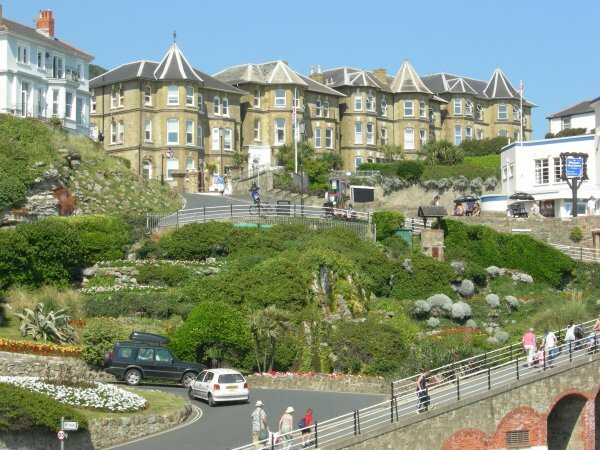 Ventnor is a charming Victorian coastal town at the south of the Isle of Wight protected by St. Boniface Down – the highest point on the island. This creates a micro-climate which encourages lush vegetation and varied wildlife and some of the UK’s sunniest summers and mildest winters. Bermuda House and Bayview are situated just above the centre of the Esplanade, Beach View Apartment is above the west of the Esplanade and Gills Cliff House is further west looking over Ventnor Park. 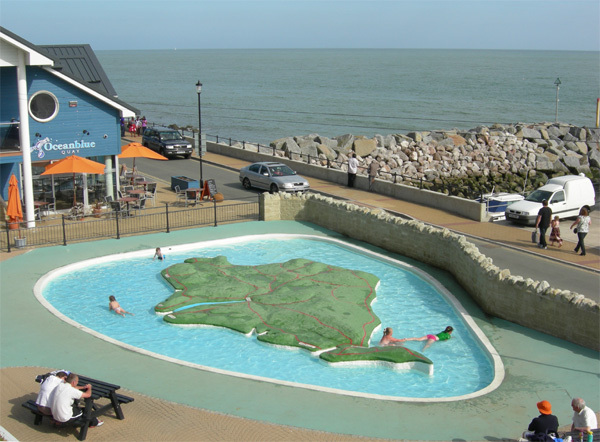 The western esplanade has a part sand, part fine shingle beach, good for sunbathing and swimming with nearby pubs, cafés, amusements and paddling pool. The eastern promenade leads to Bonchurch, the Island’s best preserved Victorian village much favoured by prominent Victorian literati. 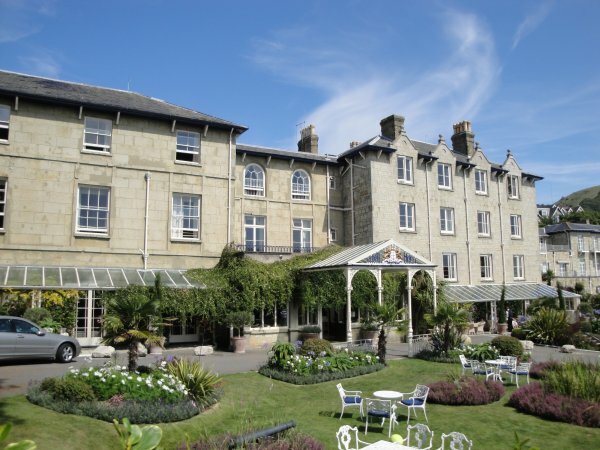 Charles Dickens wrote part of David Copperfield whilst staying at Bonchurch which he described as “The prettiest place I ever saw in my life, at home or abroad”. Shopping includes traditional butchers and delicatessen, greengrocers, handmade jewellery, hardware, toys, chemists, Post Office and a number of collectibles and antique shops, as well as a reasonable size Cooperative supermarket, Premier Convenience Store and a Tesco Express. There are two free cash dispensers in the town. 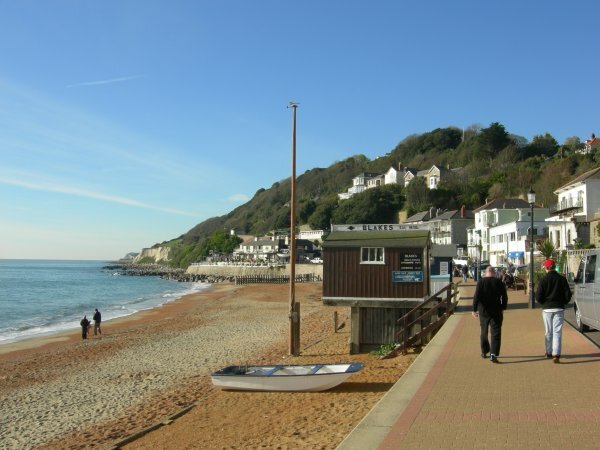 In Victorian times Ventnor became a fashionable holiday and health resort. Sir James Clark, Queen Victoria’s doctor, endorsed the health-giving properties of Ventnor’s climate.“Nothing along the south coast will bear comparison with it” he enthused. The town is currently reinventing itself as a stylish destination with new residential development, luxury hotels, wine bars, a piano bar and a new harbour. 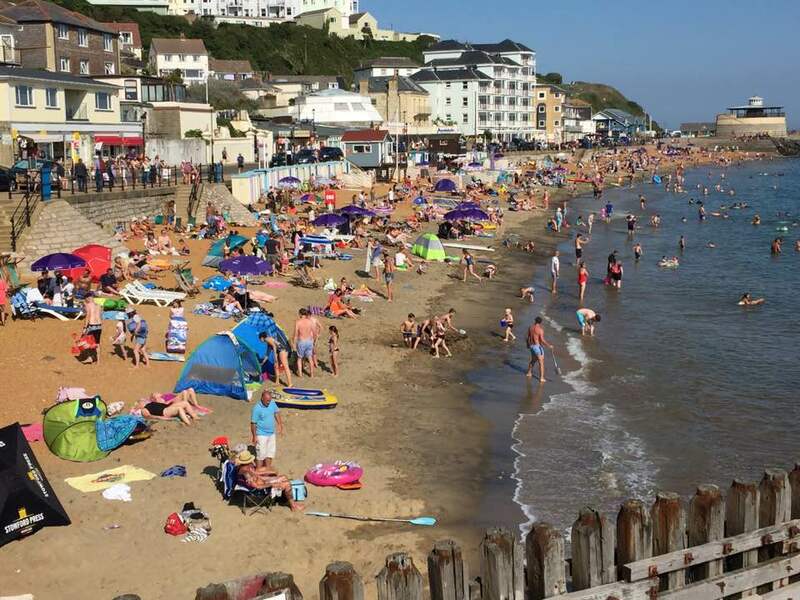 It was recently listed as the 7th best coastal town in Britain in Coast magazine, and was described by BBC Radio Solent as the new Notting Hill. Bermuda House, Beach View Apartment and Bayview look out over the award winning beach and new harbour, Ventnor Haven, which is for smaller craft and where fresh fish and seafood are landed and available daily. Crab and lobster are particularly recommended. St Boniface Down: The highest point on the island, is reached by a footpath from the old railway station in Mitchell Avenue. The view is amazing, and once you’re there you can walk over the downs to Shanklin or Appuldurcombe or walk back via the undercliff and Bonchurch. The top can also be reached by car from Down Lane on the right as you are leaving Ventnor on the Newport road. 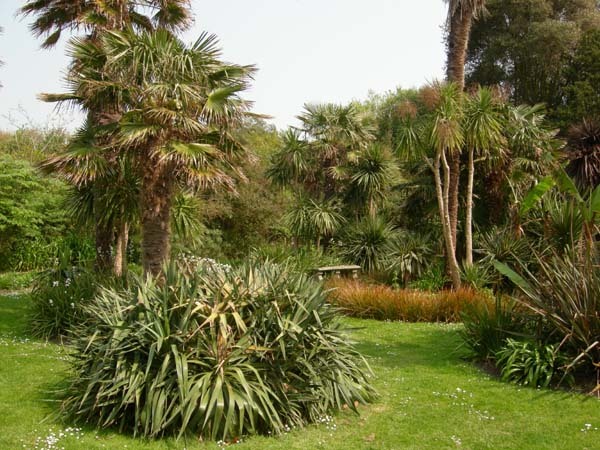 Botanic Garden: This is a pleasant walk away around the coast path and has exotic plants from around the world in themed gardens within a landscaped setting. The temperate house has many exotic species in a ‘tropical’ climate. A charge is made for admission. More info …. 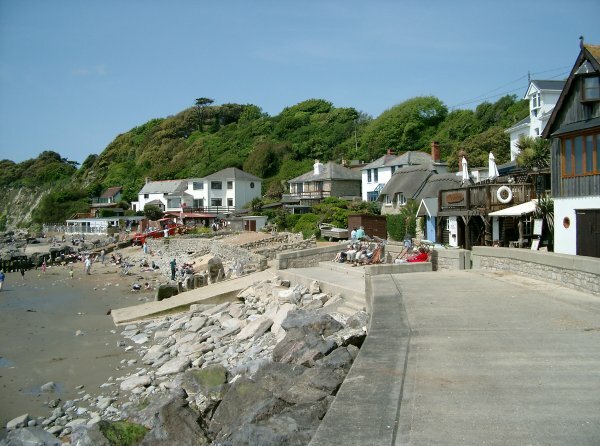 Steephill Cove: This lies on the round-island coastal path, between Ventnor Bay and the Botanic Garden. Steephill remains a tranquil retreat with an appearance that has changed little with the centuries. It is still a working port, with crab and lobster fishermen bringing in their daily catch and the opportunity to sample it on the beach. Longshoreman Museum: Housed in a converted cottage on the Western Esplanade with a small personal collection of historical and nautical items. Cascade and Paddling Pool: on the cliff in front of Bermuda House and Bayview, a lovely garden with water (the former mill stream) tumbling down through it ending with an Isle of Wight shaped paddling pool on the Esplanade. Boat trips: Cheetah Marine operate boat trips in season along the coast by catamaran from Ventnor Haven harbour. Ventnor Heritage Museum: The Ventnor Heritage Museum in Spring Hill has displays of old photographs, prints, documents, and artefacts relating to Ventnor and district. There are also exhibits about the local railway with models (including one of the Mill which used to occupy the Bermuda House and Bayview site). More info …. Ventnor Park: On Park Avenue, overlooked by Gills Cliff House, close to Beach View Apartment and about 10 minutes to the west of Bermuda House and Bayview. The park has a bandstand, which was originally at the end of Ventnor Pier, and Putting Green as well as the usual amenities. The Spyglass is on the Western Esplanade close to Beach View Apartment. 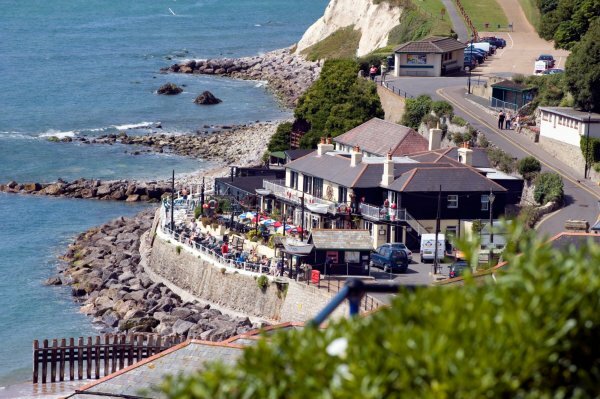 It has pub food, real ales, nautical memorabilia and seating right on the shore. It is a pleasant place to spend a summer’s afternoon or evening. More info …. The Ale and Oyster on the Western Esplanade is in the Michelin Guide and has a menu of local food freshly cooked. Roast Sunday Lunch is particularly good. More info …. The Met-Italia, on the Esplanade near the Haven, is a contemporary style wine bar which serves Italian food as well as coffees throughout the day. More info …. The Smoking Lobster is a new largely seafood restaurant on the seafront serving really good food. More info …. 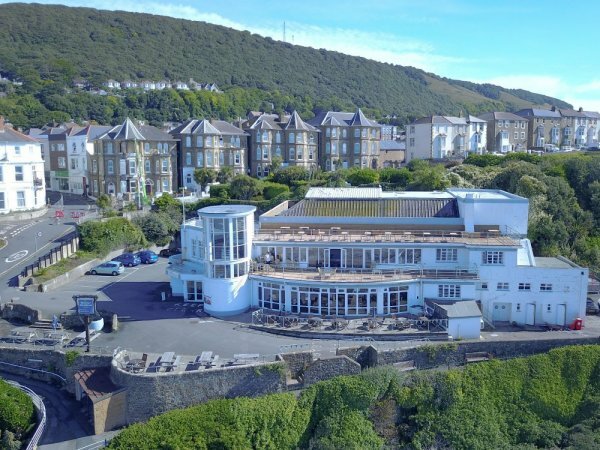 Ventnor Winter Gardens serves quality pub food (everything is freshly cooked in their kitchen) and has a lovely view over Ventnor Bay. Sunday Roast is very popular there. More info …. Cantina is an losely Italian restaurant in the High Street (underneath High Street Suites 3) who do acclaimed breakfast, coffee and light meals during the day. More info …. The Royal Hotel in Belgrave Road, close to Beach View Apartment is in the Michelin Guide and has a 2 AA rosettes bistro which is open to non-residents. More info …. The Bistro on Pier Street, very close to Bermuda House and Bayview, serves local food prepared in front of you and often has interesting paintings on the wall. More info …. Masala Bay is also in Pier Street and is a large and popular Indian restaurant, who also do takeaways and deliveries. More info …. Besty and Spinky’s Blue Ocean Quay is and friendly and stylish beach cafe on the Eastern Esplanade next to the paddling pool. Widely regarded as serving the best breakfasts in Ventnor. Tramazzini, a Mediterranean themed restaurant in the High Street. More info …. The New China House in Church Street is a good value Chinese restaurant, who also do takeaway and delivery. More info …. The Rex Piano Bar in Church Street serves excellent Italian food in a pleasant atmosphere – the outdoor seating has breathtaking views – but the grand piano has been replaced by a digital keyboard. More info ….